This recipe is perfect for a cold winter day – it warms you up from the inside. I admit, I stole it from skinnytaste, but I’ll vouch that it is really tasty, and most certainly does not taste low cal. We deviated from the recipe a teeny bit. 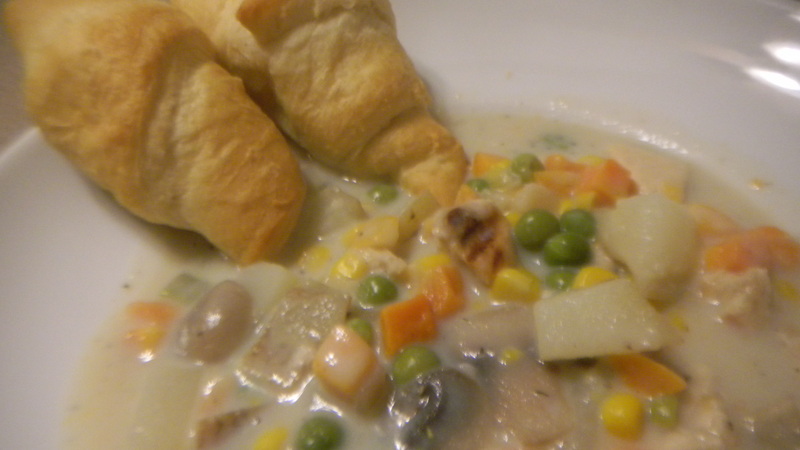 We used canned corn, and a frozen pea/carrot mixture. We also didn’t have any chicken bouillon, so we just used chicken broth instead. 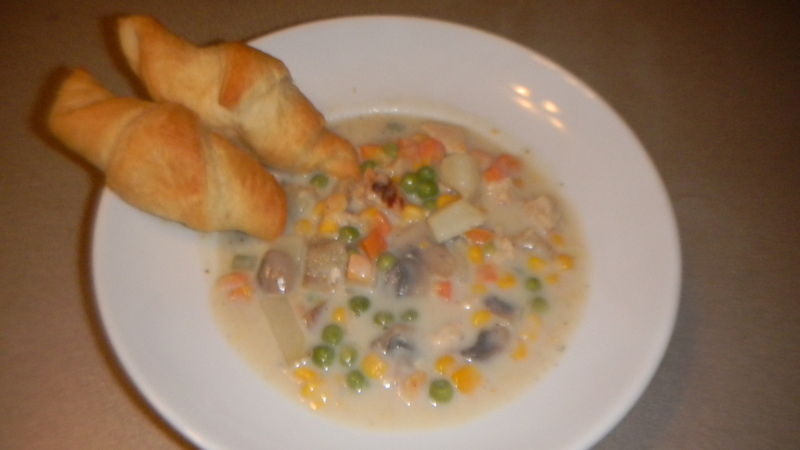 Though it took the healthy factor one notch down, we made some crescent rolls to eat with the soup. It made it more pot pie-y, because it was like pie crust, but lighter since we didn’t have some with every bite. This soup re-heated great for us the next day, and actually, I thought it tasted even better the second time around. I guess the flavors had more time to come together. Total time: about 45 minutes from start to end. Totally worth it.